Tyga Step Kit Replacement Link Rod, Male, 205 mm. 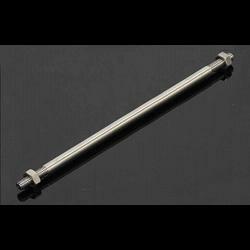 Uses M6x1 thread in one end and M6x1 L/H thread in the other, and includes both the nuts. 205 mm. in length. Notify me of updates to Tyga Step Kit Replacement Link Rod, 205 mm.